Lowrance HDS-9 Gen2 Touch Insight has an average rating of 3 out of 5 based on 1 user reviews. The basic features of the device include a high-definition, nine-inch, widescreen color easy-to-use touchscreen display. It has several built-in fish-finding tools including a few sonar arrays and the award winning Broadband Radar and seamless integration with all of Lowrance’s performance modules. It also has GPS-enabled navigation charts and maps, an Ethernet port, two full-sized SD card slots, and a camera connector. No marine navigational system would be complete without a sonar system or two and the HDS Gen 2 Touch Insight is no different. The units have built-in Broadband Sounder, StructureScan HD and Side- and DownScan features, and switching between the modes is quick and clean. You can also split-screen several of these modes at once with a data-recording feature that lets you to view sonar history in a user-friendly, back-scrolling manner. For those tired of fishing in uncharted waters, the HDS Gen 2 Touch Insight is fully-integrated into Insight Genesis, a web-based feature that allows anglers to generate their own real-time personal HD contour maps. The feature also offers 3D perspectives, navigation waypoints, GPS integration, StructureMap, Broadband Radar, and SIRIUS weather overlays, and the free version overlays your data on Bing satellite maps. 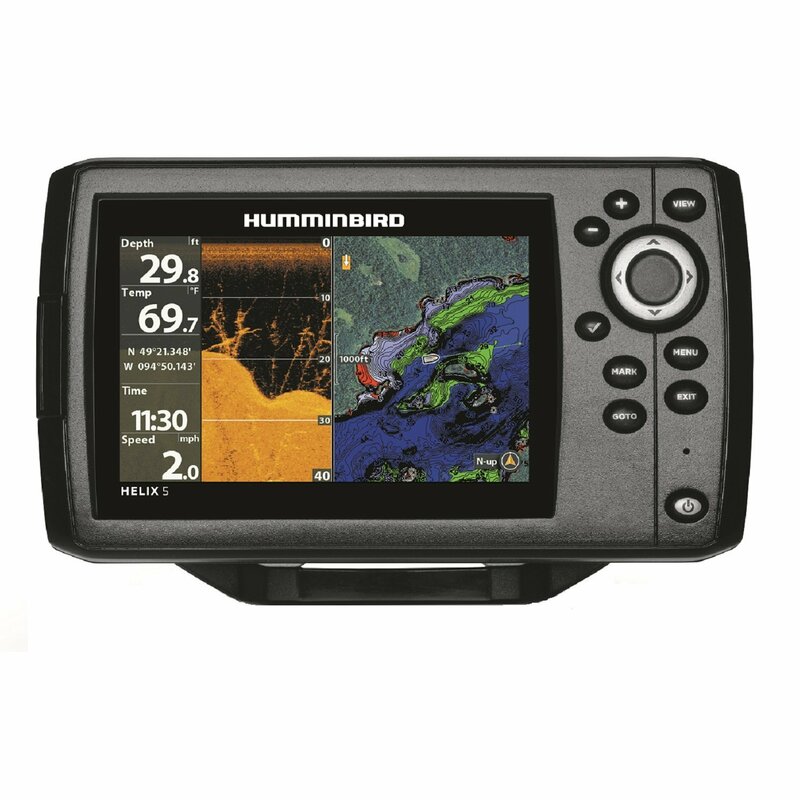 The unit also comes with Navionics and Insight USA inland and coastal cartography options, pre-loaded with the many of the same features as Genesis, for fishing trips without Internet access. Other features can be installed from SD cards or via the included Ethernet port. The most prominent new hardware feature on the Gen 2 Touch Insight is the new HD LCD touchscreen. This enhanced SolarMAX PLUS widescreen display is brilliant and clear even in bright sunlight and at wide viewing angles. It has enough room for up to four real-time split-screen panels, and if you are familiar with tablets and smartphones, you will have very little trouble with this setup as every application and feature is accessible via icons on the screen, and the device has an on-screen keyboard. There are also five buttons along the right edge of the device for use on rough seas. The two built-in SD card slots make customizing the HDS-9 Gen 2 Touch Insight simple. Insight HD and Fishing Hot Spots Pro cards come included in the package while the dual Ethernet port provides access to the device’s Internet and networking features. Navico also has plans for a wireless module that will integrate the HDS Gen 2 Touch with iPhone, iPad, and Android devices. Anglers with smartphones and tablets knew a touchscreen sonar/GPS navigation system was coming. It was just a matter of time. The HDS-9 Gen 2 Touch Insight is just one of three devices from Lowrance featuring wide multi-function touchscreen displays. While the new touchscreen interface may put off some veterans, most will find the feature very useful. You can get a great deal on Lowrance HDS-9 Gen2 Touch Insight here. This is a very solid unit but it has one major flaw. It will route through land between waypoints. After I bought it I found out that patents prevent Lowrance from implementing correct turn-by-turn marine navigation. It’s kind of disappointing that they charge $2500 for a unit but they don’t want to pay for patent use.